Leo is a big fan of HEBUG and he can often be found tormenting each of his HEXBUG bugs, letting them scuttle around the enclosure until he opens up the gate so that they can escape to greener pastures. Over the last couple of months Leo has been enjoying a completely different kind of Hexbug experience, with the Zombie Aquabot. The HEXBUG Aquabot is a robotic fish that swims around in water, I first saw these rather clever HEXBUG additions at a Christmas in July event last year. When it arrived I knew that Leo would be rather impressed, so I quickly put together a big bowl of water and released the fish from the packaging. Of course you try telling a 3 year old to wait a moment so that I can work out how to get it working… Patience and 3 year old really do not go hand in hand. The Aquabot comes ready to play with straight out of the box, all you have to do is prepare a bowl of water (if you don’t have the Hexbug Aquarium) and place the fish in the water. The Aquabot is equipped with a sensor that activates when the fish has been submerged in water, this in turn makes the robotic fish swim. If you get the Aquabot back out again the sensor lets the robot know and it turns back off again. When the Aquabot is active he will swim around for a little while and then he will turn off to preserve battery. So if your little one’s are anything like Leo in terms of playing one minute and getting distracted the next, the battery will preserve it’s self unless they take the fish out of the water and re-submerge him to wake him back up. In terms of the Aquabot’s swimming ability he tends to go around in a circle, I didn’t notice any change of direction or diving as I was expecting. He seemed to swim around at the same level bumping into the sides, which for me was a little disappointing, but Leo still absolutely loved it. There are a selection of different Aquabot designs available, depending upon what you are after. You can purchase a set that comes with a Aquabot and a fish bowl which I think is a nice touch. Since we were sent the Zombie fish for review, we have actually purchased a second Aquabot and a bowl for Leo to play with them both. They are especially popular at bath time. 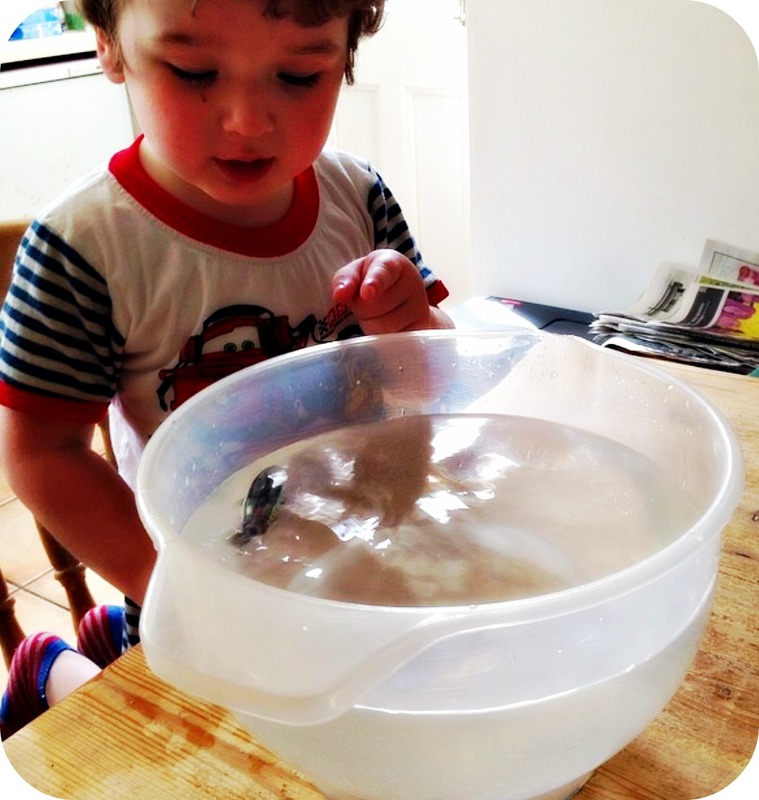 Over all the Aquabot has been thoroughly enjoyed by Leo, and it’s not hard to work out why! What’s not to love about a zombie robotic fish? You can purchase the Zombie Aquabot for £7.99. 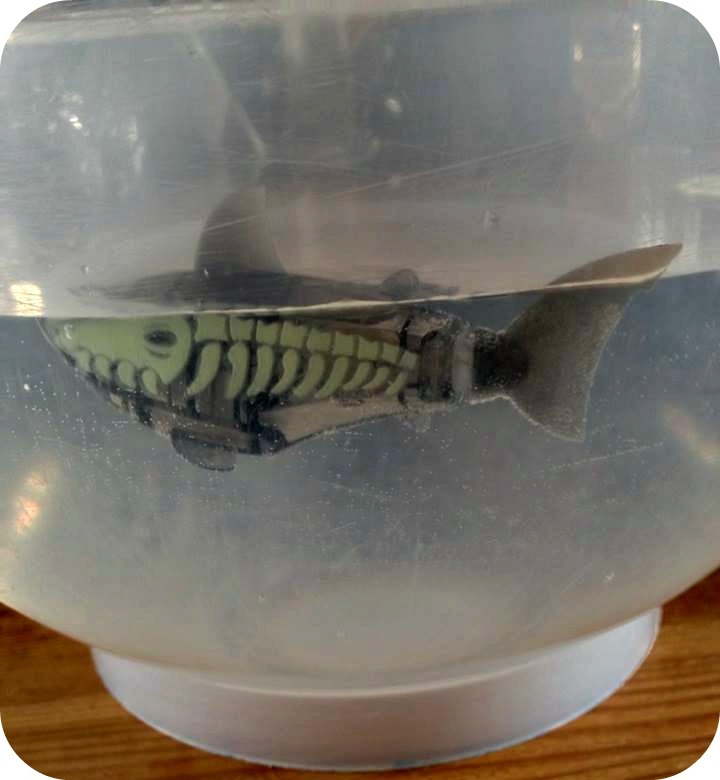 I am pleased to be able to give one lucky reader the chance to win their very own Zombie Aquabot! All you have to do, to be in which a chance of winning one is follow the Rafflecopter widget below. Disclaimer: We were sent the Zombie Aquabot for the purpose of this review. All views and opinions expressed are completely honest and my own. It combines zombies and robots - could it get any better??!! Boys and their toys...my kids would love this! I love that it is a toy that can be used in the bath. My two zombi loving boys would love this! I wouldn't have to flush it down the toilet! that it looks like a zombie! I like it becausey son would love it zombie fish what could be better! whats better than a zombie! it wont need to be fed. My boys love these things!! MY son would love !!! kids will love it and doesnt need feeding!! i like that it would keep my kids occupied! !